Regal Pelargonium. 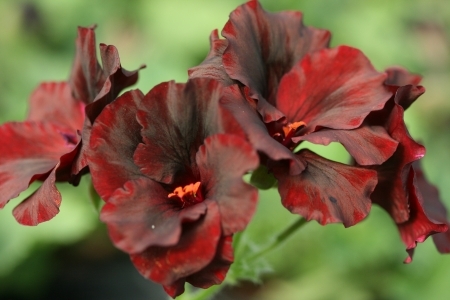 Velvety black flowers. April-Oct. Mid green leaves. Superb in pots outside in summer. Ht. 35cm. Sp. 30cm.